Conversations between Socitm and the Cabinet Office over the compliance issues around the public service network (PSN) for local government are continuing. 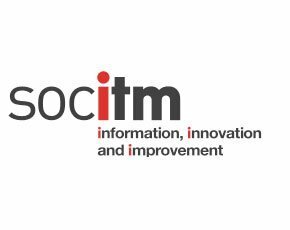 Socitm has announced that the Cabinet Office has commissioned a Secure Solutions Advisory Group (SAG) to look at the PSN compliance issues on a weekly basis. In the future, the SAG will help with future changes to PSN compliance as the technology solutions mature and risks change. “It is of the utmost importance to get the PSN story refocused on the business benefits of the PSN’s core offer – an infrastructure for efficiencies, shared services and collaborative outcomes," said Socitm president Steve Halliday. “Staff across the Cabinet Office, CESG, DWP and local government organisations such as Socitm are working hard towards this objective. It is my hope and optimistic belief that the compliance storm will pass and the benefits will then flow,” he said. Earlier this month, one London council was hours away from being disconnected from the public sector communications network. The unnamed council is one of many across the country that have been threatened with disconnection from the PSN for failing to comply with “highly prescriptive” new security rules issued by the Cabinet Office. Being disconnected from the PSN could mean a local authority is unable to fully carry out its public duties. Connection to the PSN is required for public services that are centrally and locally managed or delivered, such as housing benefits. The public sector IT organisation Socitm is keen to ensure that local governments can comply with security rules to ensure they are able to use the single secure network which will connect the entire UK public sector. Nick Roberts, IMT group manager, partnerships and collaboration at Surrey County Council, and one of the vice-presidents of Socitm, told Computer Weekly: “I think it's vital that local public sector and the Cabinet Office work closely together to find a solution to the impractical and sometimes rather inappropriate security regime created by joining up all government agencies through the PSN infrastructure, imposing a one size fits all approach to business and security. The organisation is expected to release a joint statement with the Cabinet Office this week about the progress of ongoing conversations. Socitm states the PSN will reduce the cost of communication services across UK government and enable new, joined-up and shared information-based public services. But the requirement to transmit sensitive data across the PSN is requiring local authorities to tighten the security required to connect to the network. This has, in turn, raised questions about the security around programmes such as bring your own device (BYOD) schemes which some councils have already up and running.